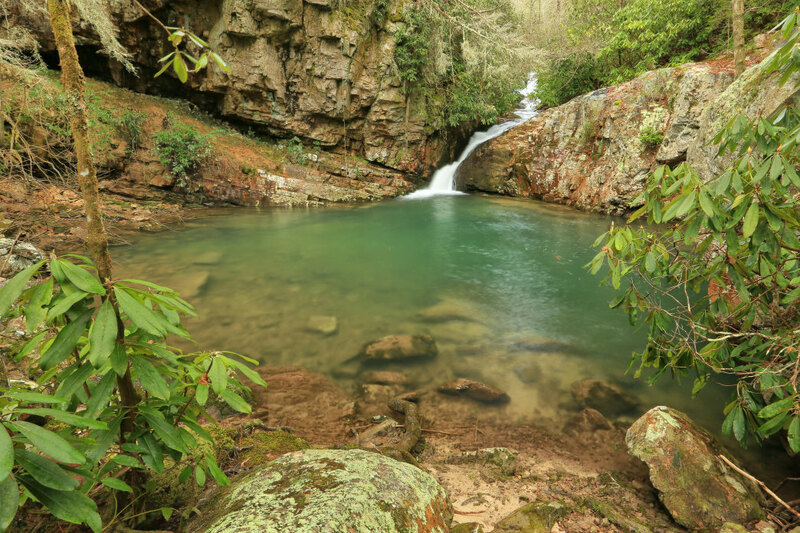 If you’ve ever been hiking or paddling in eastern Tennessee, you’ve probably experienced the wonders of the Cherokee National Forest without even knowing it. The 650,000-plus acres that the forest covers is so vast, encompassing several famous recreation areas, that people often don’t even realize they’re inside the national forest. Trying to digest the magnitude of this area can be a little overwhelming, especially since the many different zones have names and characteristics that seem totally disconnected from the national forest itself. This beginner guide will provide insights for how to best experience the activities the forest offers its millions of annual visitors. Where exactly is the Cherokee National Forest? 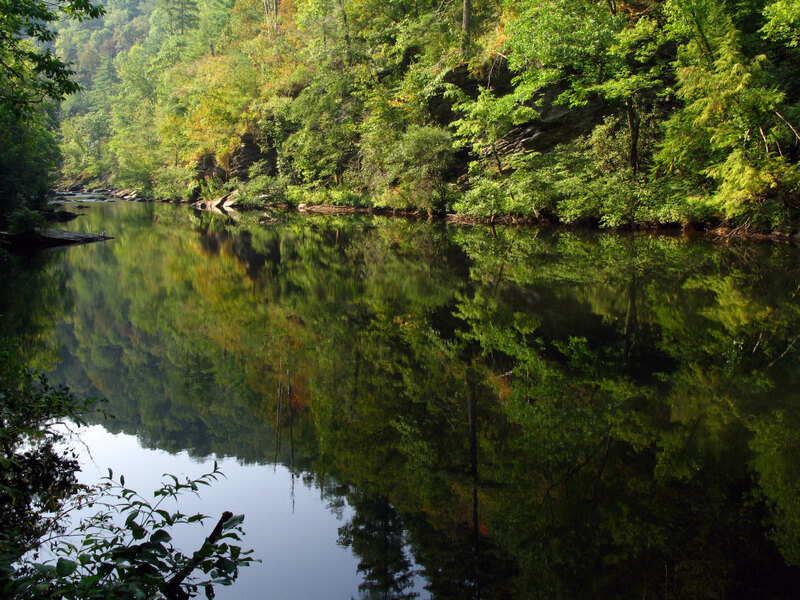 Cherokee National Forest essentially makes up the entire eastern border of Tennessee from Chattanooga to Bristol. It’s divided into a northern and a southern section by Great Smoky Mountains National Park and its headquarters is in Cleveland, Tennessee. While Cherokee is contained entirely within the Volunteer State, it adjoins national forest land in the surrounding states of Georgia, Virginia, and North Carolina. It’s the only national forest in Tennessee, and is also the state’s largest tract of public land. The region that is now Cherokee National Forest was once used as grounds for hunting and gathering by the Cherokee Indians, for whom the area is named, until their forced evacuation in 1838. White settlement in the region began in the 1770s, though most people chose to live in the fertile Tennessee River Valley rather than in the difficult, mountainous forest. In the next century, loggers stripped the area nearly bare and then abandoned what was left of the forest, leaving the residents unemployed and with degraded natural resources. The advent of the official Cherokee National Forest dates roughly back to the Weeks Act in 1911, which gave the federal government the authority to buy and regulate private land for water and timber purposes. A few years later, President Woodrow Wilson bundled up areas of land in the Southern Appalachian Mountains and designated them national forests, and the Tennessee section was officially designated as the Cherokee National Forest in 1936. During this New Deal Era, the Civilian Conservation Corps worked to create infrastructure in the forest, building roads, trails, and facilities, some of which still exist. Most importantly, the CCC labored to rehabilitate the forest, planting hundreds of thousands of seedlings that now make up what we know as Cherokee National Forest. This is where things get a little tricky when it comes to the Cherokee National Forest. 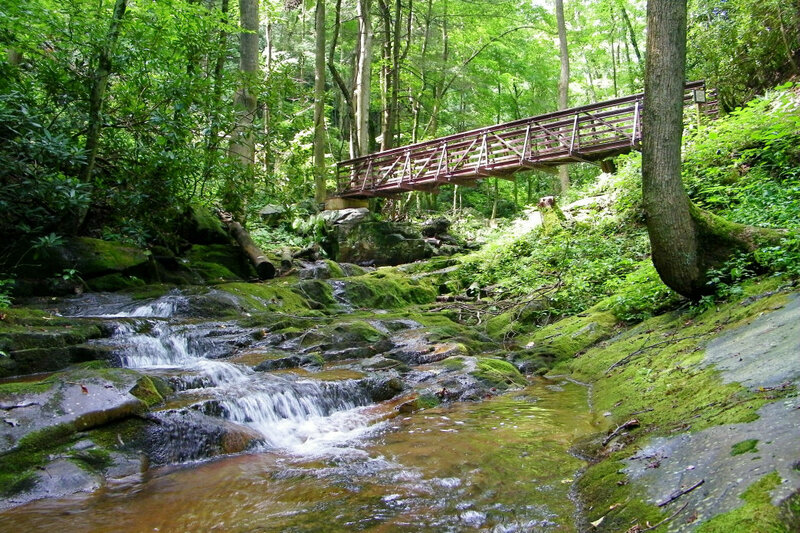 The forest is divided into no fewer than 14 different recreation zones, each with its own name and unique features, and this sparks a whole lot of confusion about what and where Cherokee National Forest is. Many of these zones are more widely known than the forest itself—think Ocoee River, featured in the 1996 Olympics; or Big Frog Wilderness, Southeastern backpacking paradise; or the Hiwassee River, summertime destination of water lovers everywhere. Each of Cherokee’s recreations zones is known for something spectacular and most people have at least heard of about most of them. 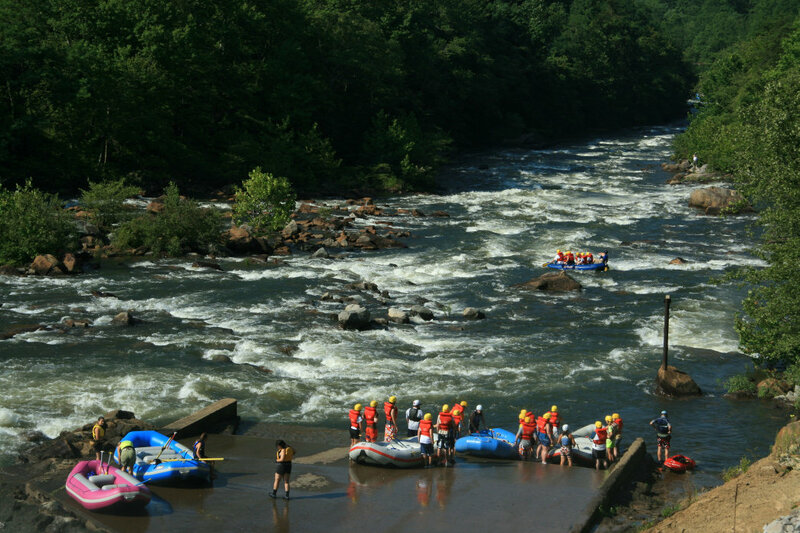 Cherokee National Forest is home to some of the Southeast’s premier whitewater paddling destinations. The Ocoee and Hiwassee Rivers are perhaps two of the best known, with thousands of people flocking to them all summer long for kayaking, rafting, and stand-up paddleboarding on the rivers’ dam-controlled rapids. Also within the forest are parts of the French Broad, the Tellico, the Pigeon, and the Nolichucky Rivers, which are also popular whitewater locales. Watauga Lake, in the northern section, has tons of opportunities for swimming, fishing, and paddling, with a highly developed area for picnicking and camping, too. 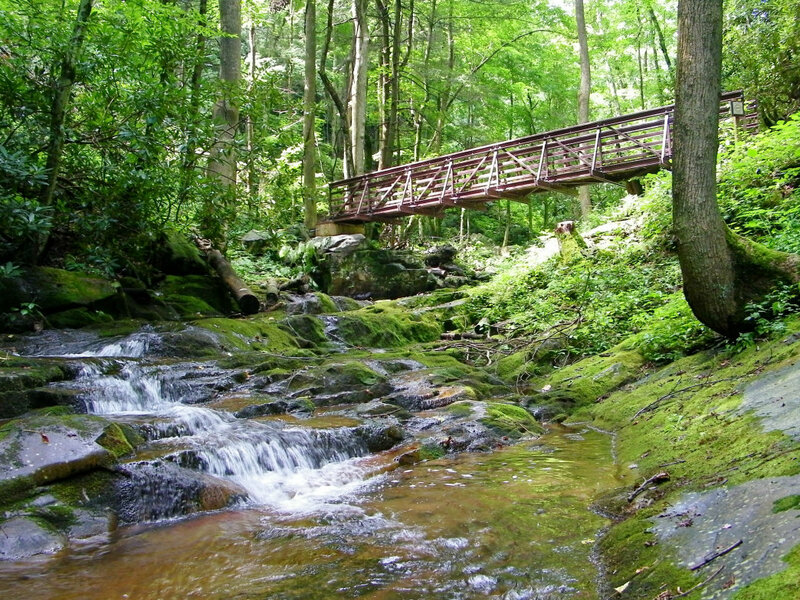 Apart from the miles and miles of rivers and lakes, Cherokee National Forest is home to more than 600 miles of hiking trails. Some of the best hiking can be found in the Bald Mountain Zone, the Unaka Mountain Zone, and the Hiwassee River Zone, the latter of which contains parts of the Benton MacKaye Trail and the John Muir National Recreation Trail. There are also plenty of single and multi-day treks along Cherokee’s well-traveled section of the Appalachian Trail. One of the best waterfall hikes in the state is also found in the Cherokee National Forest—the Margarette Falls Trail. This 2.7-mile out-and-back hike in the Bald Mountain Zone takes you to a gorgeous, 60-foot fan-shaped waterfall. For a more solitary backcountry experience, check out the Citico Creek Zone or the Iron Mountain Zone, both of which are known for their remoteness and exceptionally untamed wilderness. A dedicated outdoors person could easily spend years learning the secrets and specialties of each zone within Cherokee National Forest, but as of yet, there is no comprehensive guide to exploring its colossal acreage. Currently, most of the trails in Cherokee National Forest are for hiking and horseback riding, though there are efforts to create a system of mountain bike trails in some zones of the forest. For now, bikers have Chilhowee Recreation Area, a hidden trove of rugged singletrack glory tucked into the ridges of eastern Tennessee. Beginners and experts alike will find plenty of adventure on these old-school hand built trails. 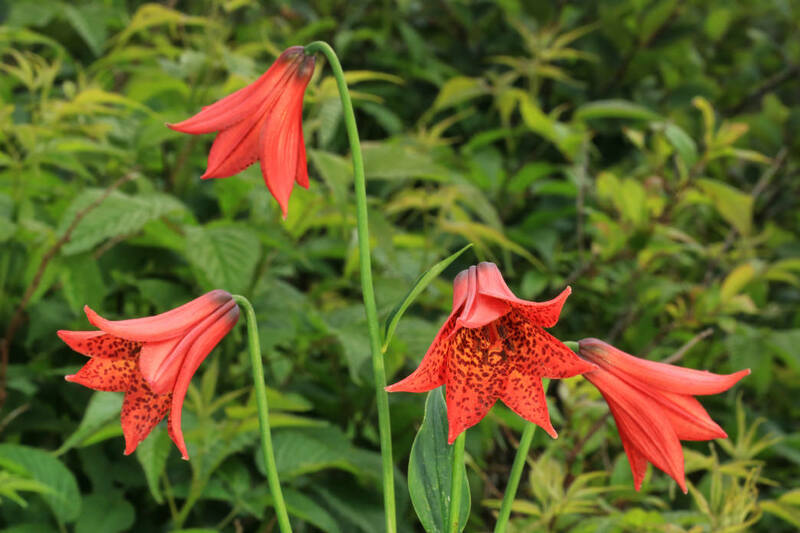 Cherokee National Forest has no shortage of flora and fauna, with more than 20,000 species of plants and animals within its borders. There are 43 species of mammals here, including white-tailed deer, black bears, raccoons, otters, and more. Additionally, there are 154 species of fish, 55 species of amphibians (including the famous hellbender salamander), and—bird watchers rejoice—262 winged species. Several of the resident plants and animals are considered endangered or threatened, which serves to highlight the forest’s mission to protect and preserve. All told, Cherokee National Forest remains a great mystery to many people, even those who visit it regularly. This is partially because of its many distinct and disjointed zones, but mostly because of the sheer magnitude of the place. Exploring the nooks and crannies of Cherokee is worthy of a spot on any Southeastern bucket list—full of mountainous hikes, whitewater thrills, fantastic gorge scenery, wildlife encounters, and starlit camping. Cherokee National Forest has a lifetime of adventures waiting to be discovered—the tough part is deciding where to begin.